Great ideas deserve to get sold. But this doesn’t always happen. Everyday millions of memo’s get rejected, e-mails and invitations go by unnoticed and sales pitches are cut short before the end. Before a sale is made. Why? Sometimes because a proposal is too lengthy, too detailed or because important questions remain unanswered. Many proposals and presentations lack vital components, they lack punch and clarity. In short they lack persuasion. Sounds familiar? Things don’t have to be that way. That’s why I’m going to share an all time favorite of mine that will help you overcome these hurdles. 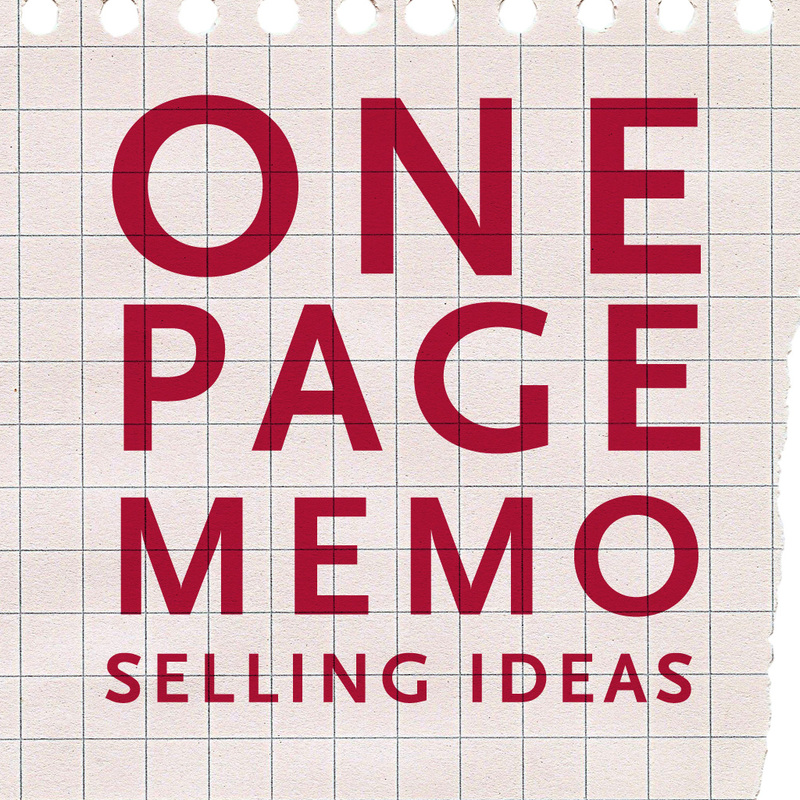 A great way to structure your proposals is the Procter & Gamble One Page Memo format. The Procter & Gamble One Page Memo format has been in use by P&G since the 70’s. Basically every communication had to fit on one page, and follow a fixed five step format. In sales and marketing they used something called the Five Step Persuasive Selling Format (PSF) for all their sales pitches (check out a P&G TV commercial). This Five Step Persuasive Selling Format is a close cousin of the One Page Memo – with a slight difference in the order in some of the steps. The format works very well in short written communication such as e-mails or memo’s but it’s a very effective structure too for presentations, sales pitches or even commercials. The P&G One Page Memo basically lays out the basic structure of your memo in five fixed steps. Give your audience some relevant background and set the context. Describe – typically in a single sentence – what you are proposing. Explain the basic steps: how, what, who, when, where. Give only the three most important (to your audience!) benefits of your proposal. This is your call to action: who needs to do what and by when for things to move forward? What’s so great about the P&G One Page Memo Format? It’s to the point. Because it helps you boil down your proposal to it’s most important components and structure them in a really good way. It’s designed to sell. Because it closely follows the Five Step Persuasive Selling Format that’s at the basis of some of the most effective marketing communications used by P&G. It improves your ideas. Because it actually works like a checklist. Simply stated: if you do not have a good answer to each of the five steps; you don’t have a good proposal yet. I was introduced to PSF (and its One Page Memo cousin) during a intern course over 15 years ago and I’ve been happily using the format every since. I’m also more than happy to share it with you. Why don’t you give it a try with your next e-mail or pitch? You can download a slightly more detailed explanation of the format here. This entry was posted in branding & marketing, creative thinking by Bastiaan van de Werk. Bookmark the permalink. I left P&G over 10 years ago but still champion the process. Friends still with P&G recently told me of a mandate that all current employees undergo a refresher (specially marketing and sales) on the PSF. Hi Jon, thanks for sharing that piece of information with us. It’s a great tool / process indeed. Hi Patrick, thanks for sharing that with us. It *is* a great tool isn’t ‘t. like a way to produce and reveal facts. Wow! In the end I got a webpage from where I can genuinely obtain helpful information regarding my study and knowledge.